The corporation for the CSS is organized as a non-profit charter in the state of South Carolina, and conducts activities primarily within, but not necessarily restricted to the state of South Carolina. The primary purpose of the CSS is to promote the benefits of Polysomnography (PSG) and Sleep Medicine. Mission: To improve the quality of sleep medicine in Colorado through education and research. On February 20th, 2004, thirty-two individuals with a spectrum of backgrounds, sharing an interest in sleep, met in Denver for the first meeting of the Colorado Sleep Society. The decision was made to form the Colorado Sleep Society (COSS) as an open membership, non-profit group. The Delaware Sleep Society is a nonprofit association devoted to serving sleep professionals, patients and public in Delaware. The society strives to establish, protect and preserve patient and public trust in sleep medicine professionals in Delaware by promoting the highest level of clinical standards for patient care, safety and sleep testing as well as promoting awareness of and education in sleep medicine to the community. The society officers, committees, and members work to ensure sleep disorder testing and treatment is provided by qualified professionals, and to provide educational opportunities for health care professionals. The society encourages the advancement of scientific and technical standards as well as research in polysomnography and sleep medicine. The Delaware Sleep Society provides a unified voice for sleep professionals in all matters related to the practice of polysomnography and sleep medicine. Serving Florida’s Sleep Medicine Community Since 1995. Our website strives to be a living web portal which we hope to regularly populate with timely and useful information pertaining to the practice of sleep medicine and sleep technology in Florida. The Georgia Association of Sleep Professionals, established in July 2008, is a statewide association, that strives to enhance the quality of human life by supporting an environment in which sleep medicine professionals can provide the highest quality of care. Our members are physicians, technologists, researchers, students, and sleep centers and labs, all providers within the specialty of sleep medicine. All Georgia sleep medicine professionals are encouraged to be actively involved in GASP. GASP is a widely useful tool for dialogue and action for all issues concerning sleep professionals and there are many opportunities for involvement and collaboration. Our strength is measured in numbers and we need the support of all active sleep professionals to continue our efforts. So if you are not currently a member, we strongly urge you to JOIN TODAY! The Illinois Sleep Society was established in 2008 as a non-profit organization with the following goals: To promote and support research and education in polysomnography and sleep medicine. To encourage and assist in the advancement of scientific and technical standards of polysomnographic technology; To protect and preserve both the patient and public trust in doctoral-level sleep clinicians and polysomnographic technologists by promoting the highest level of clinical standards for patient care and safety and to produce the highest quality of polysomnographic data and patient care; To promote increased awareness of sleep research and sleep medicine; To promote and improve standards of training and qualifications for doctoral-level sleep clinicians and polysomnographic technologists; To provide a unified voice for sleep professionals in matters of insurance reimbursement, testing standards and the application of treatment modalities for sleep disorders; and To develop and maintain the essentials to perpetuate the Society and its objectives. To promote the highest level sleep medicine standards, facilitate communication and provide continuing education opportunities for the sleep medicine community of Iowa and surrounding areas. We work hard to provide a common place for sleep medicine professionals in Iowa and the surrounding area to gather and share ideas and information. Our purpose is to make the field of sleep medicine stronger through these interactions and the quality of educational programs and services we offer to our members. We also work to continuously keep our fingers on the pulse of our local sleep medicine community to protect the best interest of you, our members. The Kansas Association of Sleep Professionals (KASP) is a non-profit organization established to bring together Kansas sleep professionals and forward our common interest in the field of Sleep Medicine. Established in 2003 our mission is to promote and improve education standards of practice and communication between fellow sleep professionals and to be an advocate for our patients and professionals. The Kentucky Sleep Society is an organization of medical professionals throughout the state of Kentucky committed to promoting quality in the practice of sleep medicine. KYSS members are dedicated to educating the public, healthcare professionals and community leaders in the importance of sleep and related disorders. To further the understanding of sleep and sleep disorders, to provide a forum for communication and education of sleep professionals, and to promulgate the highest standards for polysomnography and the clinical diagnosis and treatment of sleep disorders, for the people of Louisiana. The Maryland Sleep Society (MDSS), is a 501(c) organized in 2009 for the advancement of Sleep Medicine in Maryland. The goals of the Society shall be the promotion and improvement of sleep quality of the residents of the Commonwealth of Massachusetts. The society shall be dedicated to the highest professional and scientific standards. The society shall have the purpose of bringing together the full breadth of sleep professionals to promote communication, understanding, and management of sleep disorders through education programs, support of scientific research and other scientific activities. The Society will participate with and represent the AASM in Massachusetts to promote healthy sleep. The Minnesota Sleep Society Organizing Committee was officially formed on September 28, 2009, with the assistance of the American Academy of Sleep Medicine (AASM), the American Association of Sleep Technologists (AAST), the Sleep Research Society (SRS), and the American Academy of Dental Sleep Medicine. The Mississippi Sleep Society was formed in 2007 by a core group of Mississippi sleep professionals. The MSS incorporates all aspects of sleep medicine: technologists, physicians, durable medical companies, and medical suppliers. 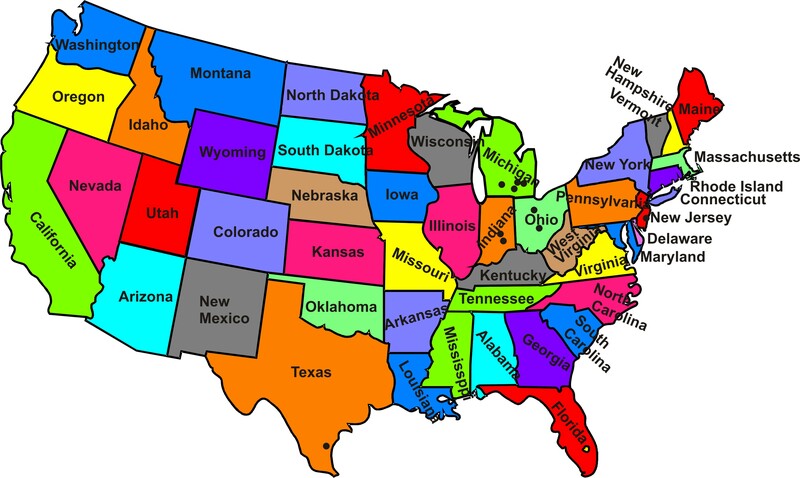 It is our goal to provide and promote professional education opportunities in sleep medicine across our great state. This society has been needed for many years as a means of communication among sleep professionals for scientific and education purposes. The MSS promotes the highest standards of training and qualifications as the field continues to grow. We want to assure that patients in Mississippi have reliable, efficacious, and cost effective sleep medicine. This is your society and your input is necessary for it to be successful. The Missouri Sleep Society serves its members and advances the field of sleep medicine by: Promoting the application of recognized clinical standards of care to the field in order to ensure the highest quality of care for patients; Educating sleep professionals in order to help them provide better quality of care in the field; Raising public awareness of the health consequences and treatment of the full spectrum of sleep disorders; and Advocating for the sleep professional by providing a unified voice at the state and national level. The Montana Sleep Society is an organization devoted to providing educational opportunities for sleep technologists, physicians, dentists, respiratory therapists and other health care professionals with an interest in sleep medicine. Our goal is to keep an eye on legislation that may impact the field of sleep medicine and potentially affect our ability to practice as sleep technologists in the state of Montana. The New England Polysomnographic Society is a professional society for Sleep Medicine Technicians and Technologists that practice in the field of sleep medicine. The New Jersey Sleep Society was founded in 1995 to promote knowledge of sleep and sleep disorders among professionals in the field of sleep medicine as well as the general public. We are available to discuss or provide guidance for those with sleep related questions including shift work, school start times, sleep disordered breathing, and other topics. Specific personal medical questions, as always, are best discussed with your physician. The Society’s Annual Educational Symposium is held every Fall and features nationally known speakers. We attract participants including physicians, technologists, nurses, psychologists and administrators from New Jersey and the surrounding states. The Society is a 501c (3) not-for-profit corporation. The New York State Society of Sleep Medicine (NYSSSM) is a not-for-profit organization that serves the interests of the general public, patients with sleep disorders, and clinicians and researchers working in the field of sleep medicine in the State of New York. The NYSSSM works with government, academia, and private industry to improve health policy, education, sleep research and work opportunities in sleep medicine. It strives to increase public awareness of impact of sleep disorders on health and safety, and promotes the availability of sleep medicine services for all New Yorkers. The NYSSSM assists in the advancement of professional standards and qualifications for sleep specialists and those in the allied health fields involved with sleep disorders testing. In this regard, the organization endeavors to preserve the public trust in the practice of sleep medicine in all contexts by promoting the highest standards of patient care for disorders of sleep and wakefulness. We are the North Carolina Academy of Sleep Medicine (NCASM). The organization for all Sleep Professionals including Technologists, Technicians, Trainees, Physicians and all other Sleep Advocates. North East Sleep Society (NESS) is a non-profit educational organization originally founded in 1985. The organization’s mission is to run an annual, professional meeting fostering regional networking and offering an opportunity for participants to present the latest innovations in the study of sleep disorders. 2008 began an initiative to start a state sleep society in Ohio. This initiative had the full support and backing of both the American Academy of Sleep Medicine (AASM) and the American Association of Sleep Technologists (AAST). Over the past few years, the dedicated members of the Ohio Sleep Society (OSS) Organizing Committee, along with the assistance of AASM and AAST, have been working diligently on the preliminary steps to establish the OSS. During this period, the Committee filed the state Articles of Incorporation, drafted bylaws, develop a membership application, establish a Board of Directors, elect Officers and created an Ohio Sleep Society website. Now that these first steps have been accomplished, we are asking all sleep professionals in the state of Ohio to strengthen our new organization by becoming a member. By joining the OSS, you will make a lasting contribution to the continued growth and development of the sleep medicine field. Uniting together with colleagues across the state will be the most effective way to promote sleep medicine, sleep health, and sleep research in Ohio.